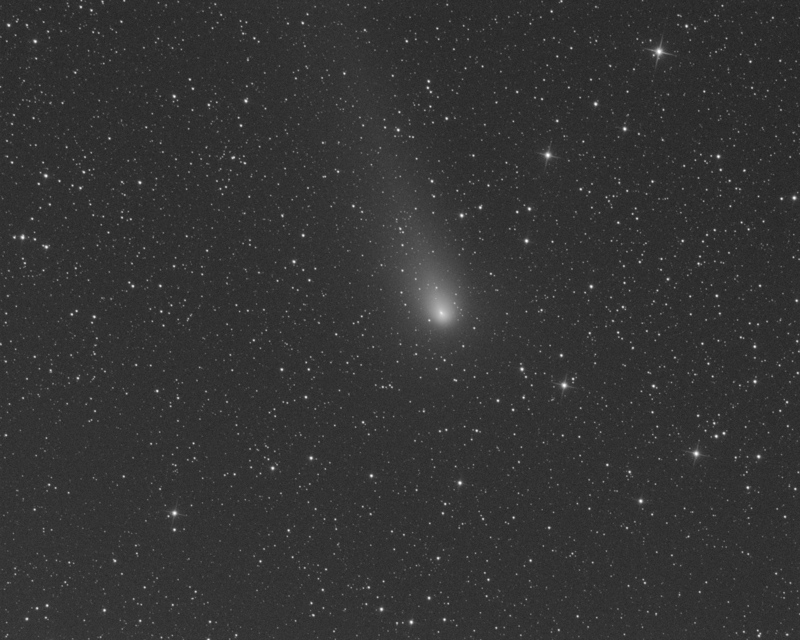 This is a single 120s exposure taken through a luminance filter of Comet 21P/Giacobini-Zinner at 3.15am on 19th August. I used an Atik 460EX at prime focus on an 8. F4.5 Orion Optics CT8 reflector. Processing was carried out using PixInsight.